Some of you may have noticed that this week there is a discrepancy between the calendar for Jews in the Diaspora, and the calendar for Israel and for Reform Jews in Diaspora (who follow the Israel calendar.) For an explanation of why there’s a difference, check out this article by Ben Dreyfus. If you are wondering what YOU should read, the easy answer is “ask your rabbi.” The senior rabbi of your congregation is the “Marah d’atrah,” the final word on the schedule and practice in your shul. If you don’t have a rabbi, well, get one! So this week’s drashot are all over the map. Some are for the eighth day of Pesach, and some look ahead past Pesach to Acharei Mot. All are Torah, though, so it’s all good! Whatever you learn this week, I wish you a Shabbat shalom! For Jews, the month before Passover is busy, busy, busy. 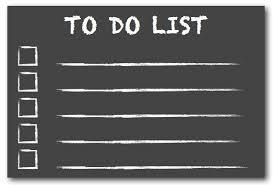 We have a house to clean, seders to plan, lists to check. The same old decorations may be getting a little shabby – time to spruce things up! In just the same way, the knowledge of Passover acquired in Hebrew school might not really meet our needs as adults. The same old thoughts are feeling, well, same and old. If you’d like to refresh the inside of your head as well as the inside of your house (or if this whole thing is new to you) it might be the time to check out some pre-Passover reading. If you are struggling to come up with the right “hostess gift” to take to a seder, a good book is always a welcome addition to a Jewish home. Some of these are inexpensive, some are extremely so, but any would make a lovely gift. Steingroot, Ira, Keeping Passover – This is a personal favorite of mine. The book is simple enough for beginners and informative enough for those looking to deepen their practice. I like that he encourages freedom in producing a very personal seder for your family. Arnow, David, Creating Lively Passover Seders. Arnow offers wonderful suggestions for enriching your seder. 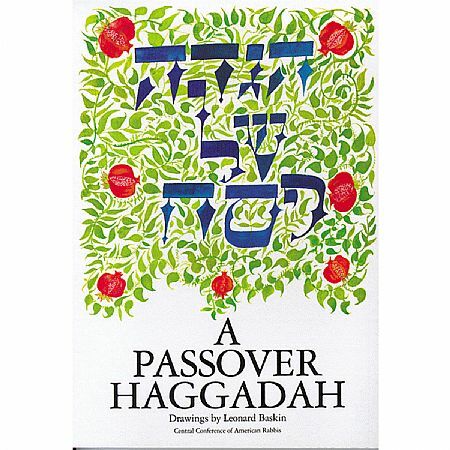 Arnow, David and others, My People’s Passover Haggadah: Traditional Texts & Modern Commentaries, (2 vols) These volumes, like those from the popular series My People’s Prayer Book open up the haggadah in multiple ways for learners. Tabory, Joseph and Stern, David: The JPS Commentary on the Haggadah. 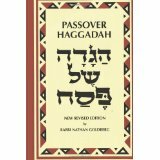 This is a heavy-duty scholarly commentary on the haggadah, not for beginners or the faint of heart, but very satisfying for some. The tradition of making beautiful illuminated haggadot goes back centuries. We can learn from texts, sure, but we can also learn from illustrations. 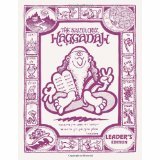 The Moss Haggadah: A Complete Reproduction of the Haggadah Written and Illuminated by David Moss for Richard and Beatrice Levy, with the Commentary of the Artist. This haggadah was originally produced as a private commission. Linda and I were given a copy as a wedding present, and it is one of our most treasured possessions. The Szyk Haggadah, by Arthur Szyk. This haggadah was illustrated and published by a Polish artist during the rise of Hitler. It is one of the great treasures of the Jewish people. Epstein, Mark, The Medieval Haggadah: Art, Narrative, and Religious Imagination. This art book will give you a glimpse of four of the beautiful medieval haggadot, all produced between 1300 and 1340 in Europe. The art is accompanied by commentary by Mark Epstein, a historian who puts them all in context. 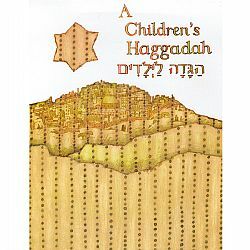 There are many other beautiful art haggadot. The way to see them is to find a bookstore with a seder display and usually the art haggadot are its stars. 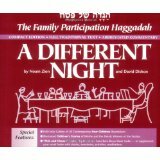 For information about regular haggadot for use at the table, see Which Haggadah, Rabbi? Passover cooking is a miracle of its own. Imagine cooking completely without chametz: products of wheat, rye, oats, spelt or barley! For Ashenazim (Jews of Eastern European traditions) add kitniyot (rice, legumes, corn, etc.) to that list. Perhaps because of the strictures, Pesadik (kosher for Passover) recipes have become an art form. Nathan, Joan. Joan Nathan’s Holiday Cookbook. This is a cookbook with commentary. The recipes are great (and include more than Passover!) but there are also stories and information to help you enjoy the holidays. This book is a classic. Amster, Linda, ed. The New York Times Passover Cookbook: More than 200 Holiday Recipes from Top Cooks and Writers. Another classic, now in a second edition. It is tempting to take an “all or nothing” approach to mitzvot. Some of us are overachievers, and we want an “A” in everything we do. Some of us are worried about the opinions of others. Some worry that if a commandment is not fulfilled properly, there was no point in bothering. To any beginner in Jewish observance, my first word of advice is: Start Small. If, on the other hand, you are looking for official standards on how to prepare a proper kosher-for-Passover home, and you are already an old hand at this, you will be much better served by the Pesah Guide published by the Rabbinical Assembly (Conservative Movement.) This post is for those who are new to the mitzvah of preparing for Passover. 1. LEARN ABOUT CHOMETZ. Chometz / Chametz / Hametz (all spellings are transliterations, all are the same thing) is a product that is both made from one of five types of grain (wheat, rye, spelt, oats, or barley) and has been combined with water and left to stand raw for longer than eighteen minutes. Chometz is sometimes defined as “leavened products” which is confusing, since that makes modern people think of leavening agents like baking powder and yeast. But no, chometz is basically wet grain, or grain that has been wet at one time for more than 18 minutes. Anything in your home that contains one of those grains (wheat, rye, spelt, oats, barley) and may have had any moisture get to it on purpose or by accident is chometz. Ideally, a Jew will find and get rid of all the chometz in the places under his or her control before Passover begins. 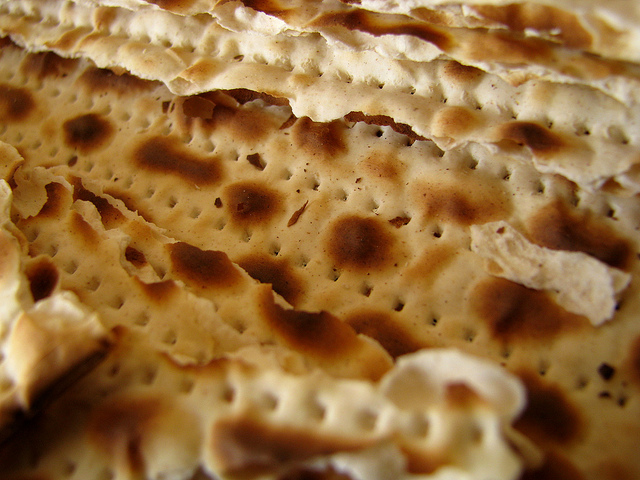 You can learn more about chometz and Passover observance in an article at My Jewish Learning. There you will also learn that Ashkenazic Jews also dispose of rice, millet, corn and legumes like beans and soy [kitniyot] because those things often behave like the forbidden grains. 3. GET RID OF BIG CHOMETZ. I said “start small” but at this stage of the journey, we’ll just get rid of what I call “big chometz.” Set aside all the chometz in your kitchen and say, “what can my household consume before Passover?” All the rest of the chometz will need to go for you to complete this third step. Eat it up, give it away, or throw it out: those are the chometz choices between Purim and Passover. Locate a donation dropoff for your local food bank, and use it. Another possibility is to buy a package of paper plates. This is less wasteful if there is some way to compost them instead of putting them in the landfill after use. During Passover, I use more disposable products than at other times of the year, but I try to use them responsibly. 7. REMEMBER, LIFE, LIKE EXODUS, IS A JOURNEY. In the beginning, start small. Don’t tear your home up and then collapse in despair. Pay attention to the mitzvah that you are doing, to whatever degree you can perform it. Remember that at different stages of life, our abilities are different: a beginner, starting out, will not approach Passover in the same way that a person who has grown up in a kosher observant household will approach it. In a year with illness, or money troubles, or other challenges, the way we observe the mitzvah may shift. Instead of judging ourselves for what we cannot do, and comparing to others who “do more,” we accomplish the most when we approach the task with kavanah [intention] and do what we can to the best of our ability. Remember the words of Rabbi Tarfon that opened this post: It is not your responsibility to finish the work, but you are not free to desist from it either. 1. Figure out where I’ll be for seder. – The Passover seder is an obligation. It’s also the primary Jewish learning experience in which we share a meal, a story, and insights on the story. I need to be at the table first night, and I want to be at the table second night, but I need to decide if I’m hosting a seder or if I will be a guest at someone else’s table or a community table. No matter which, I need to be proactive. 2. Get rid of my chametz! My mantra for chametz (food containing the 5 grains forbidden for Passover) is: Use it up, give it away, throw it out! If you are new to Judaism, or new to keeping Passover, read my post, Cleaning for Passover: Begin in Egypt. It will explain what chametz is and a gentle way to begin this observance. There is no need to make yourself or your family miserable, nor do you get “Jewish points” for doing so. 3. Clean my house. The tradition says that I have to get rid of chametz, but if I do a good job of it, then I will clean my house in the process. Passover prep is my yearly reminder to get rid of the things I don’t need, to clean up old messes, and to get my house back in order. 4. Recycle my emergency supplies. I live in California on an earthquake fault, so I have a stash of food, flashlights, and batteries in various safe places around the house. This time of year, I get last year’s canned goods, etc and take them to the Food Bank. Then I go to a discount store and replace them. That way people in need get food and batteries before they go bad, and I renew my supplies. It isn’t part of the halakhah for Passover, but it’s a great time to do it (see #2 above.) This is part of my annual tzedakah budget. 5. Locate my Passover dishes and recipes. Not every Jew keeps double sets of everything. I have a couple of boxes of Passover-only things, and I supplant the rest with (compostable) paper plates and such. I learned the hard way one year not to leave this till the last moment, because maybe I remember exactly where it all is, and maybe I only imagine I know. 6. Buy Passover supplies. For some ritually observant Jews, this means a huge expensive trip to the kosher grocery. I don’t keep kosher, but I do keep Passover, and that means I’ll need matzo and other products that substitute for all the stuff I cleaned out. Don’t wait till the last moment to get your matzo! Some years it can be hard to find in the last week. It’s a lot of work, especially on top of my regular work! Time to get cracking: the next time the moon is full, it will be Passover! Passover goes on for a WEEK? What Will We Eat? Yup, you got it right: We are only at the beginning of a week of NO CHAMETZ. Veterans of many years of Judaism and/or Jewish childhoods will tell you about the wonders of matzo brie (fried matzah), matza pizza, etc. Those are fun and well worth trying. Some come to love them, and some not so much. It’s OK either way: you ate matzah at the seder and that’s all the matzah we are required to eat. So in the meantime, what to eat? Unprocessed fruits are all perfectly fine. Vegetables will depend on whether you eat “kitniyot” or not. If you don’t know what that is, don’t worry about it this year. If you are among the Jews who refrain from kitniyot at Passover, you know what not to eat. Again, if this has not been part of your practice until you’ve read this article, don’t worry about it – veggies are OK! – but you may want to study and ask your rabbi before next year. Meats, dairy products, fish, etc are all good, as long as there’s no chametz mixed in with them. (No yogurt with granola on top.) Again, just avoid the processed stuff and you will be ok. Leftovers from the seder, if there are any. Tuna salad on matzah. Ditto for egg or chicken salad. Tuna salad on a nice mess of greens. Ditto for egg or chicken salad. Green salads with meat or dairy for protein – always good. Stews and soups are good, just (1) not processed – there will be chametz in there somewhere and (2) no dredging things in flour and (3) beer is chametz, so no Guinness stew. Serve over mashed potatoes, if you want. So remember: you don’t have to live on matzah. Eat fresh if you can afford it. Look upon this time as a yearly “reset” button for your eating habits. And don’t forget to give tzedakah for those who cannot afford fresh food. Posted on April 16, 2014 Categories Especially for Beginners, PassoverTags Matzah, Passover, Pesach, recipes7 Comments on Passover goes on for a WEEK? What Will We Eat?